Visit to Baikal State Nature Biosphere Reserve. 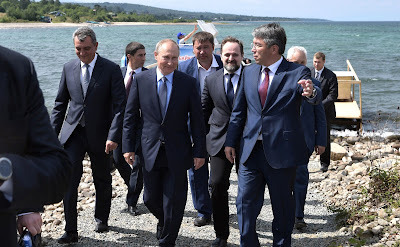 Putin.BLOG Environment Regions Visit to Baikal State Nature Biosphere Reserve. Vladimir Putin visited the Baikal State Nature Biosphere Reserve. 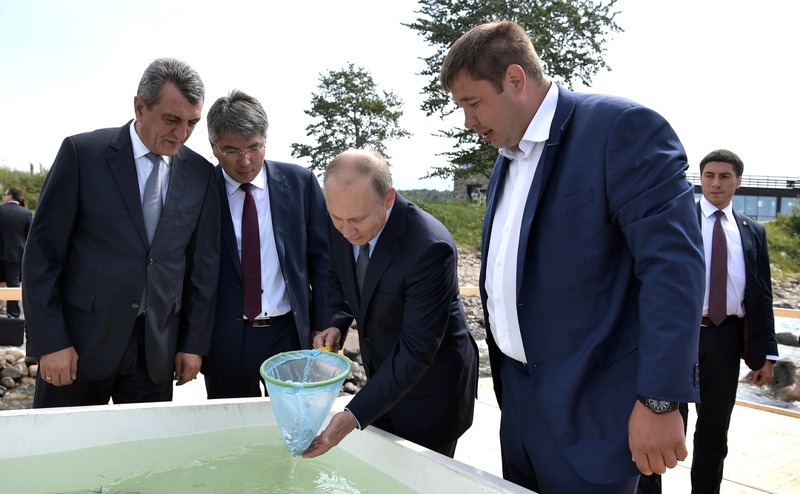 Vladimir Putin took part in a ceremony releasing Baikal omul fry into Lake Baikal. Russian President took part in a ceremony releasing Baikal omul fry into Lake Baikal. Around 50,000 hatchlings were cultivated in hatcheries using industrial fishing methods in order to maintain the biodiversity of the fish fauna in the world’s deepest lake. The stocking of Baikal with fish is carried out regularly based on the public-private partnership. Russian President also stopped at the Baikal Zapovedny visitor center, a modern information and tourism complex built on the lake. 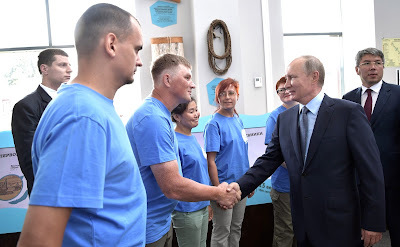 Vladimir Putin viewed the center’s exhibits and briefly spoke with volunteers of the Great Baikal Trail inter-regional public organization. 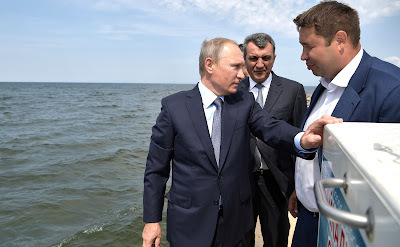 Vladimir Putin before the ceremony of releasing Baikal omul fry into Lake Baikal. Vladimir Putin at the ceremony of releasing Baikal omul fry into Lake Baikal. 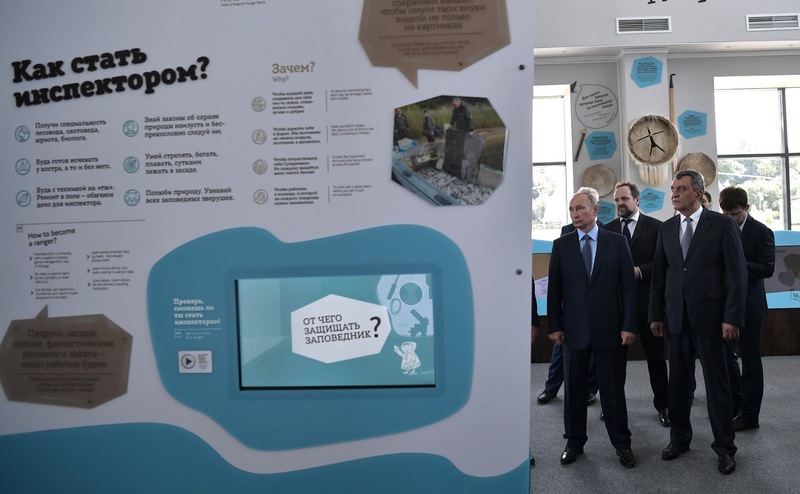 Exhibition at the Baikal Zapovedny visitor center. Vladimir Putin with volunteers of the Great Baikal Trail inter-regional public organization at the Baikal Zapovedny visitor center. 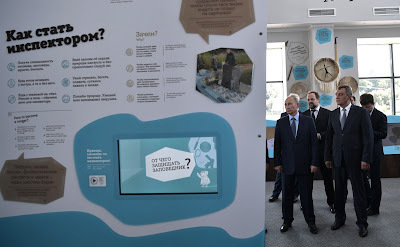 Vladimir Putin attended the exhibition at the Baikal Zapovedny visitor center. 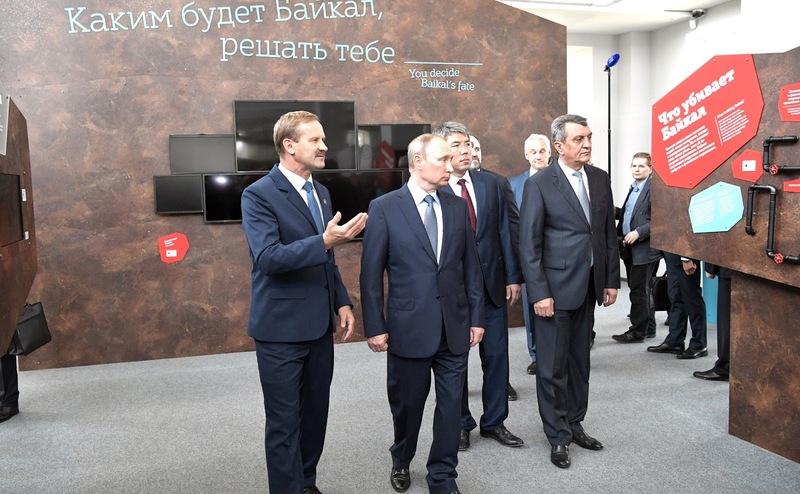 0 Comment to "Visit to Baikal State Nature Biosphere Reserve."